Around 1964. Wilhelmina modelling a chiffon evening dress. Photo by Kenneth Heilbron. Read more. 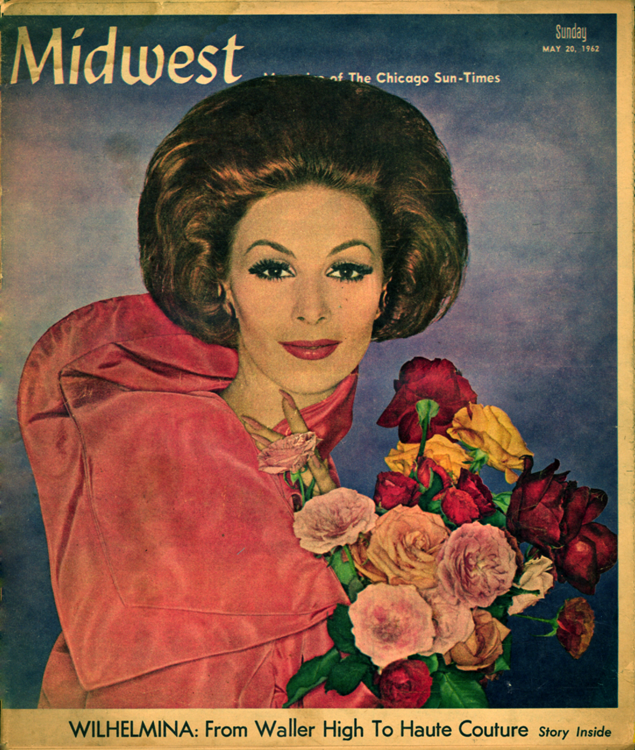 AWilhelmina, beautiful and courageous, was one of the biggest models of the early 1960s and the best-paid of her era. 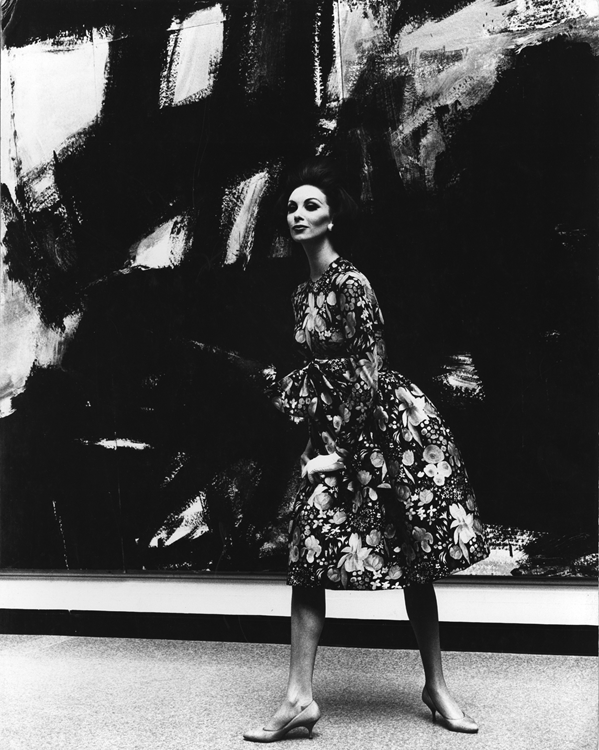 She appeared on 255 magazine covers including 28 covers of US Vogue and went on to set up Wilhelmina Models, where she proved herself a highly-successful businesswoman. 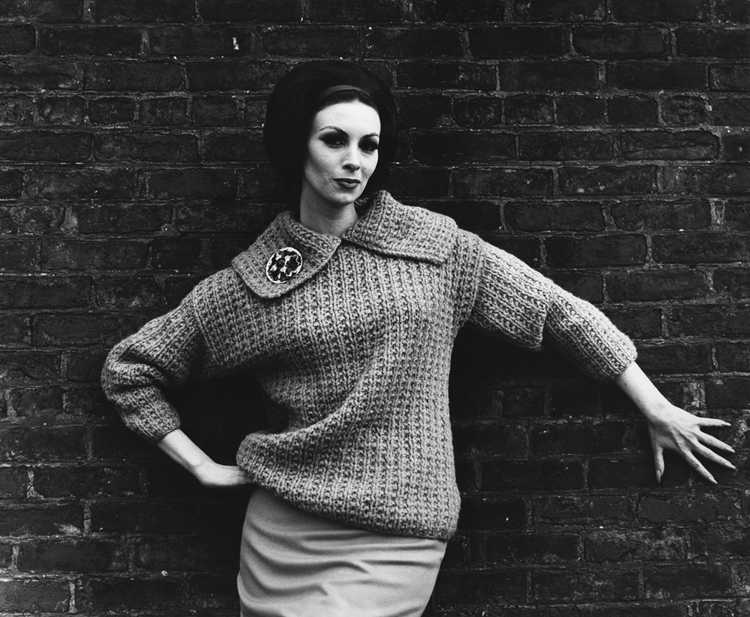 The photos here all date from 1962–1964, when her modelling career is peaking. These are perhaps the happiest days of a life that begins and ends in tragedy. She’s born Gertrude Behmenburg in 1939 in Holland but she grows up in Germany. Come the end of the war, she’s six years old. She sets out with her little brother to get the day’s food ration for the family. Skipping down the street they encounter a group of Canadian soldiers. It’s VE Day, they’re pissed out of their minds and they’re letting off their pistols to celebrate. One of the bullets hits and kills Wilhelmina’s brother. In 1954 the family move to Chicago – yet another impoverished immigrant family. Gertrude goes to high school, gets a part-time job and becomes obsessed by fashion magazines. I even went to second-hand stores to buy all the old issues … I read them cover to cover, devouring every word and every picture of my new idols, the beautiful models who reached so glamorously from the pages out to me. Chicago, 1962. Early morning in the French Village, Wilhelmina modelling a silk jersey dress, with topaz jewellery to match. Photo by Kenneth Heilbron. Chicago, 1962. Wilhelmina modelling an appliquéd dress in Piper's Alley in the Old Town. Photo by Kenneth Heilbron. Chicago, 1962. Wilhelmina modelling a chunky sweater. Photo by Kenneth Heilbron. When Wilhelmina visits New York, Eileen Ford of the Ford Modeling Agency tells her that she can’t be a model ‘with those hips’. But if she loses twenty pounds, she could go to Paris. In Paris a colleague introduces Wilhelmina to diet pills. I found myself walking along the Champs-Elysées with the cars coming towards me, but my body had no reaction whatsoever. I was on continuous diets. I’m not fat as far as real life is concerned, but I certainly was when it came to modelling. I ate twice a week. In between, it was cigarettes and black coffee. On Wednesday, I had a little bowl of soup so I wouldn’t get too sick, or a little piece of cheese on a cracker. On Sunday, I’d have a small filet mignon without salt or any sauce. I was running on nervous energy as well as determination. Following a year in Paris and with a L’Officiel cover to her credit, Wilhelmina returns to the US and takes New York by storm. She is booked weeks, even months in advance. In 1964, in a series called Private Lives of High Fashion Models, the New York Journal American reports that Wilhelmina has ‘risen to the top of the heap of the 405 girls who work under contract to the city’s top five agencies. Her career to this point is covered in a Chicago Sun-Times article, Wilhelmina: From Waller High To Haute Couture. Wilhelmina would arrive in her limousine, makeup totally on, open her bag full of hairpieces on foam things, ask what you wanted, be on the set within fifteen minutes, do the shot, jump back in her limousine, and he gone. And her earnings rise to $100,000 a year. Chicago, 1962. 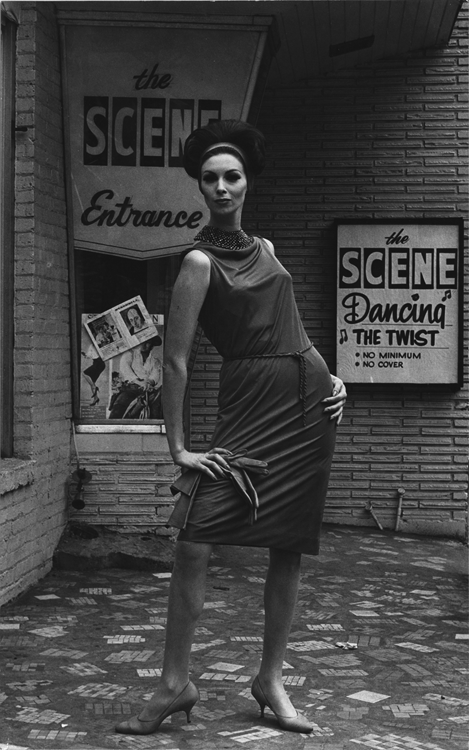 Wilhelmina modelling an Emilio Pucci sleeveless dress in tones of hyacinth and turquoise, a silver fox fur on her arm outside the El Grifon nightclub. Photo by Kenneth Heilbron. Chicago Art Institute, 1962. Wilhelmina modelling James Galanos' silk print cocktail creation against a post-Impressionist painting by Seurat. Photo by Kenneth Heilbron. Chicago Art Institute, 1962. 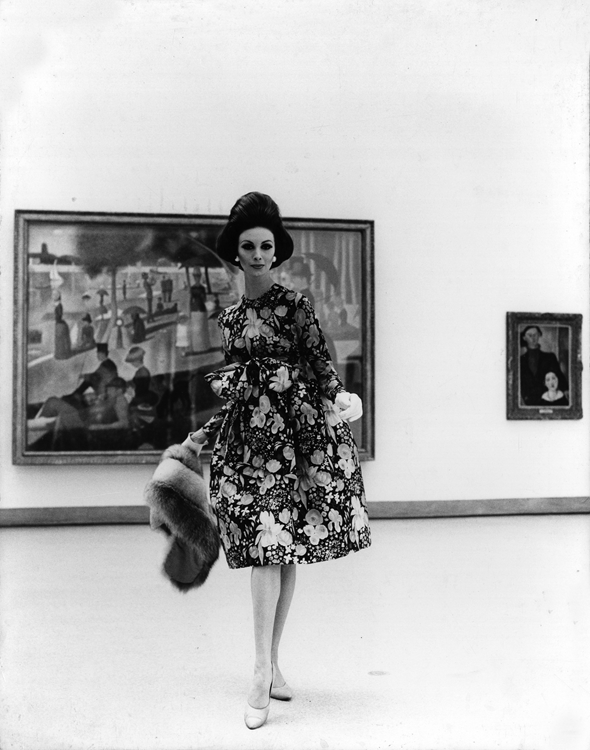 Wilhelmina modelling a dress by James Galanos. Photo by Kenneth Heilbron. They take you out because they want to he seen with a beautiful woman. It’s easy here to he used as a display doll. But as a model, it’s important to he seen at nightclubs and restaurants. In 1964, she meets Bruce Cooper, an associate producer of The Tonight Show, and in February 1965 they get married. When Eileen Ford pushes work towards the next generation of models and Wilhelmina’s bookings start to dry up, the couple respond by setting up an agency of their own – Wilhelmina Models. Four years on, the agency has 100 men and women on its books and has a turnover of over $3 million. Wilhelmina judges Miss USA and Miss Universe contests and visits Europe three times a year to see the fashion shows and recruit new talent. A couple of times she came to bookings with a black eye. There were products you could cover black eyes with. She had all that. But she never talked about it. It was a more disciplined time. You wouldn’t spew your personal life out to anybody. Want to know more about Wilhelmina? The best source of I’ve come across is Michael Gross’s book, Model: The Ugly Business of Beautiful Women. To see more pictures, take a look at Wilhelmina on Facebook and at Wilhelmina Cooper, from Model to Model Agencie.